Instead I have chosen 5 skirts on ASOS I love and cant choose from so please let me know which one you like the most. I really should not get more than one..really really shouldn't! I mean we need to buy a sofa for the new living room. Although..the guests could forever sit on the floor and I will just float around in 10 different midi skirts..that might work also?! 1. Full Midi in Cotton- the cut seems pretty basic but look at the color..the color is so refreshing. I dont own anything in similar hue. 2. Midi with Crossover Front-the scuba fabric, the pastel blue color, the front spilt!! How pretty is this skirt? And you could show a little leg..
3. Full Midi in Leather Look- Im not sure about the fake leather material but the pale yellow color just haunts me. I imagine it being pretty heavy material so could be dreamy right? 4. Pleated Midi- nope. The obsession with pleated midis has not gone anywhere. I already have the same cut ASOS skirt in coral and black so I know its a great shape. The question is do I need a brighter than sun yellow option? 5. Full Skirt in Leather- in all honesty I am not allowing myself to buy this one (hello 200euro!!!) still I cant help but adore the real leather, the color, the gentle pleating and pockets. This is a real gem but soo freakin expensive. Which one is your favorite? Seriously guys I need advice before I order one..or two..or three!! Well its all super exciting but also massively time consuming and we head dove into packing boxes, carrying boxes, unpacking boxes straight after arriving from Sri Lanka. Now we are in the new house but its a big mess and without furniture. I cant wait to get it into a presentable state..because I want to take you guys for a house tour. Between packing and unpacking I also had to calm down 2 cats who were sure this move is probably gonna kill them and a dog who follows you around cause he cant stay alone in a different room than you. I had little time for makeup and outfit fun. I didnt even know where most of my makeup was packed. But this morning I did use a few new products (Chanel foundation!) and a few old ones but I loved the look and wanted to show you also. I found an eyeshadow at the bottom of my stash I had completely forgotten and now I cant seem to use anything else. Inglot 153- a gorgeous metallic taupe with a golden sheen that is perfect as a one-shop-stop all over the eyelids. This is my one and only Inglot product but as I have fallen in love with it all over again I might need to look into expanding this collection. Whats good to have? Besides the Inglot shadow I used the Smashbox Limitless Liquid Penliner. Its great for drawing really thin lines and getting in between the lashes. The mascara is Benefit They're Real!. Then there is Smashbox Bronze Lights bronzer and Tarte Exposed blush. I have hardly used any other blush for a few weeks- loving this over the Chanel foundation. I also whipped out my Benefit High Beam highlighter. 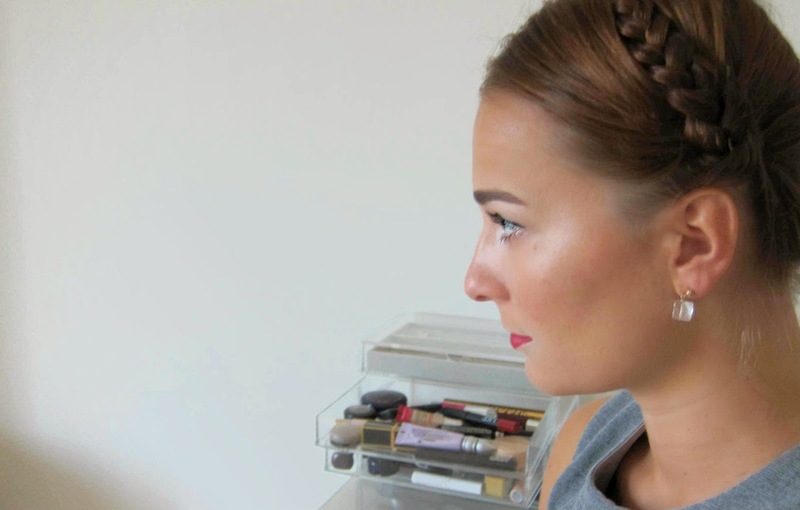 As the new foundation leaves a more matte finish it also leaves more room to play with a highlighter. 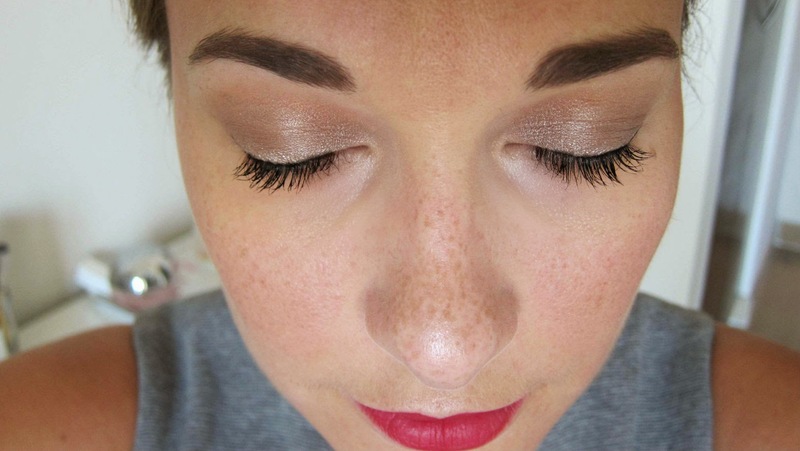 I always add a bit (or a lot), especially with such neutral eye makeup. In high spirits about the nearing weekend I decided for Nars Cruella on my lips. As per usual Zulu had to be where the action is so here is another picture of me and my cat. We kind of look alike dont we? I said I will make a small travel guide but I love so many places in Sri Lanka I couldnt make it short. Im sorry.. I cant even fit it all into one post to be honest. Please take into account this is purely my suggestions which are based on places I have stayed or visited. I am not aiming to do an extensive cover-all tutorial here. I will try to be descriptive so you know what to expect cause tastes and expectations are different. We have been to Sri Lanka twice and these two trips were a bit different. First time was in December-January for 2 weeks and that was our honeymoon. This was a trip I prepared for a long time, made research for hotels, read reviews- the whole lot. We chose more expensive boutique or designy hotels or drove around a lot. The best way to travel on a trip like this is to hire a driver for the whole time. We had our awesome driver Thilak with us and I would suggest him to anyone planning a trip. Just let me know and I can pass on the details. The second trip last week was purely for lounging on the beach. We didnt care for a fancy hotel but just wanted it to be clean and on the beach. It was all sleep, eat and tan.repeat. The Three by TPV- a fantastic mix of Scandinavian design and jungle feel. We booked one of the garden suites. This means you have your own little house with the coolest outdoor shower. Food was great, service was lovely. You cant walk to the beach but everything is a short tuk tuk ride away. There is a pool with stunning sunset views. Another great hotel if you want something with a spa is the Fortress Resort and Spa. We just visited for a dinner and a spa day but it has a stunning beach. The Three is much more private and quiet and Fortress is a bigger hotel nevertheless it is really beautiful! Now we come to the gem I found on airbnb.com website and that was kind of a highlight of our honeymoon. Its a real life Tarzan tree-house and its totally amazing. 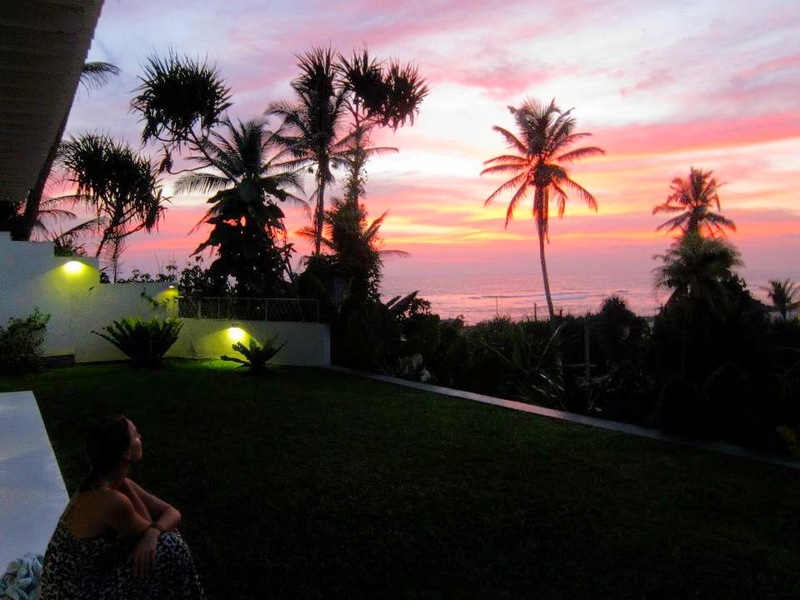 Silva Tree-house is in a secluded and private location but very close to the beach. I unfortunately have only one crappy iPhone picture that shows the outside so go check out the photos on airbnb as well. I have to mention a few things about this place. If you are searching for luxury and you are scared of bugs/geckos/flies etc..this is not your scene. If you are one that appreciates funky design and adventure and want a very special experience with a living room among the treetops- make your booking right away! 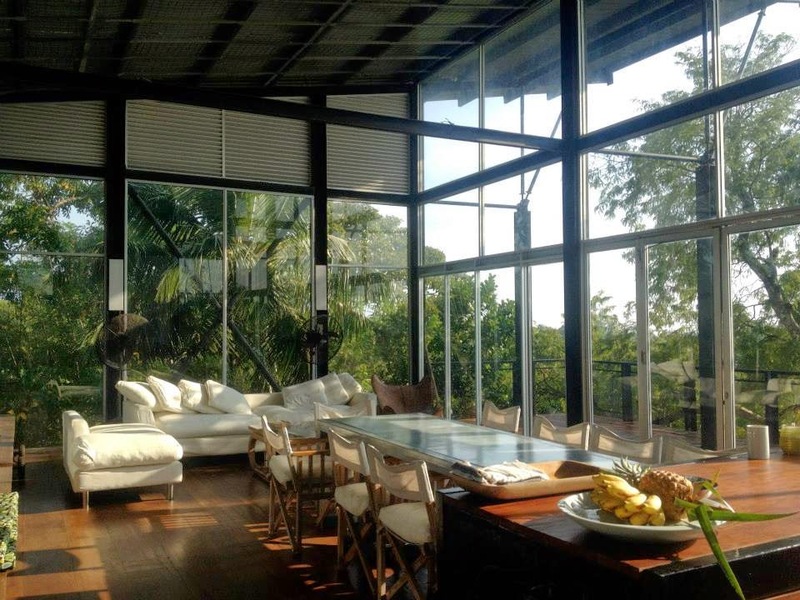 It is a huge house with 3 bedrooms and its all glass, meaning the views are ridiculous. It also means you cant leave stuff laying around cause squirrels run in and out of the living room and will chew through anything. 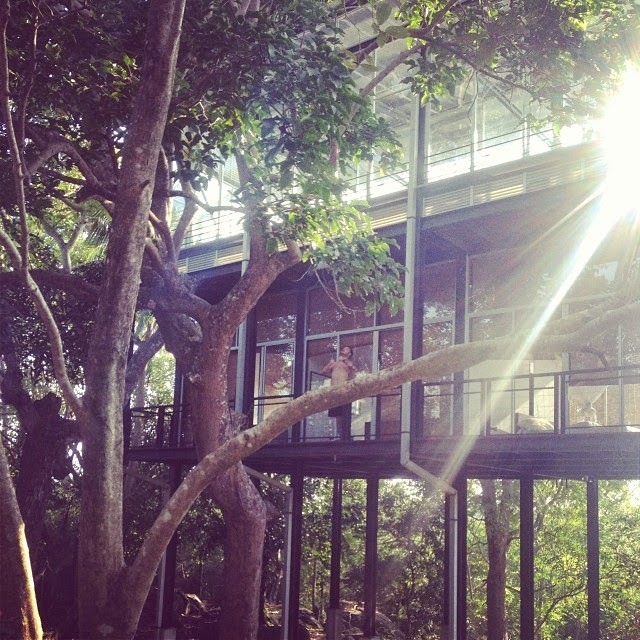 We loved the Silva Tree-house and I would like to go back with a group of friends sooner rather than later. Now there are two hotel I like a lot inside Galle city as well. 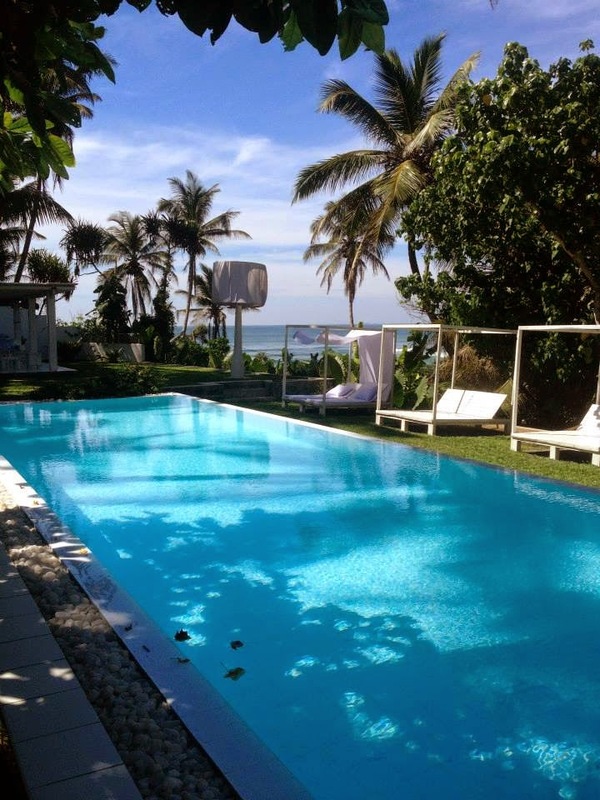 One of them is a colonial style boutique hotel called The Galle Fort. If your thing however is big hotels with the perks of ordering fruity cocktails while laying in a plush sun lounger, having multiple pools and food options on the grounds head to Jetwing Lighthouse. We never stayed there but on both trips we bought their day pass to the pool and just chilled for a day. Its a beautiful poolside and great place. Day pass is not expensive so a good option if you want to stay in a more private hotel but take advantage of those cocktails. This time around we stayed at Rockside Cabanas which is more B&B style place. Its clean and basic and smack on the beach. Food was not fantastic but the view from our balcony made up for it. Out of activities we did in southern Sri Lanka the whale watching in Mirissa really stands out. We saw whales and wild dolphins and even thou I get seasick stupidly easy and the sea at 6am was anything but calm, it was amazing. Other than that I would say the south is more for beach holiday. Next post I will tell you about our hiking,climbing, tea plantations and safari which were all fantastic as well. Hope this is helpful. Please let me know what else interests you and I will try to add it to the next post. Its been too long since we spoke about nail polish. This O.P.I shade is a relatively new addition in my stash and matches well with the current theme I have going on.. its called " Get everything pastel!". Pastel shoes- get them! Skirts-get them as well! Pastel pink nail polish - get all of them! Mod About You makes me stop every little while and just stare down at my nails. Its like Strawberry bubblegum Barbie nails and I would have never guessed that's my thing..well apparently Im a Barbie. Go figure! Its a fantastic pastel polish as you really get a streak free coverage in two coats. Its white based so makes the nails stand out and seem bright and clean. Gosh I love this polish! Mate was a tremendous help as always. 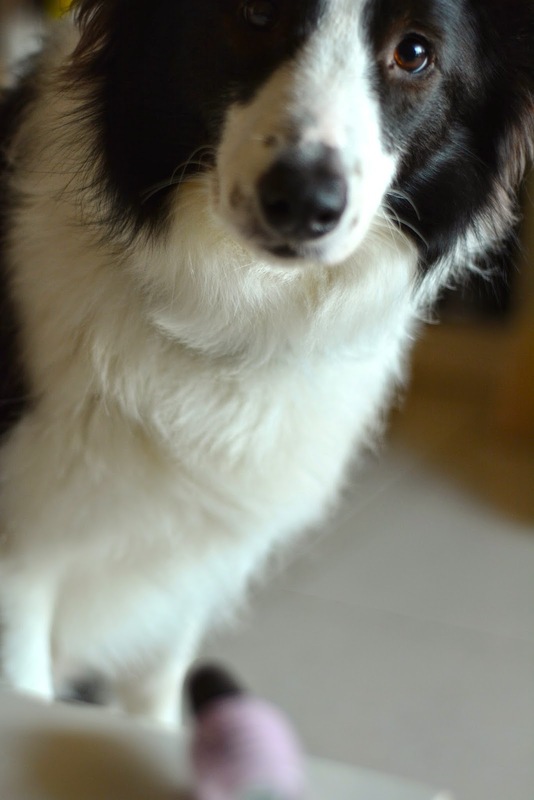 I mean look at that face!! Whats your favorite pastel nail polishes at the moment? I need more.. The Sri Lanka travel guide will take a few days to put together but Im really enjoying the everyday blogging at the moment. I wish I had the time but.. There is something super exciting going on. This weekend we are moving from an apartment to a townhouse and I could not be more excited. Yay for all the decorating that's going to happen! 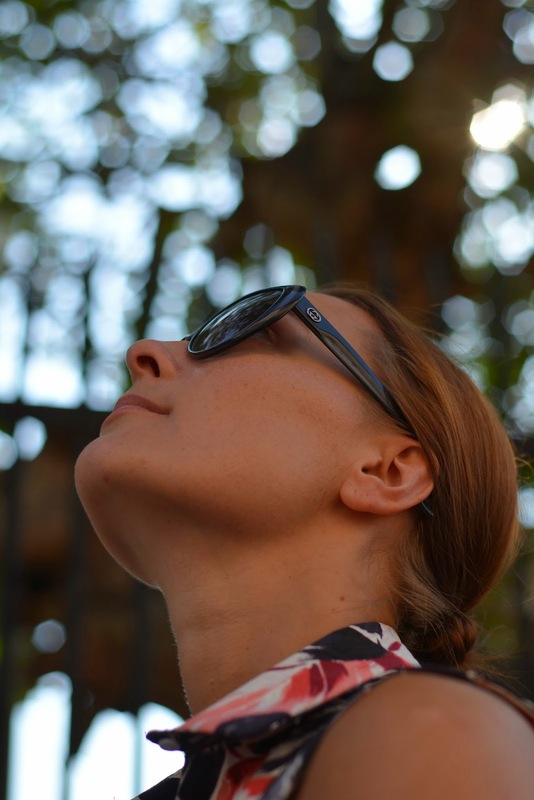 All the packing and fixing and trips to Ikea and West Elm (omg how much I love those trips) leave little time so todays post is an easy one. Its about my weekend oatmeal routine. Maybe some of you already have your oatmeal in fancy way..maybe all of you do? In that case I apologies for the totally unnecessary post. But todays bowl was just soo delicious I really wanted to share. Its only in recent years I have started to like oatmeal for breakfast, thats cause I realized how easy it is to dress it up with various toppings. So my current absolute favorite is cinnamon oatmeal with almonds, chia seeds and blueberries. Bring the almond milk to steam and add oats. Stir continuously until you reach your preferred thickness. I like mine thick. I also like to add cinnamon with a heavy hand and now is the time to do it. After putting it in a pretty bowl (that is very important..haha) add a tablespoon of chia seeds and sliced almonds and top it off with some blueberries. Its like having dessert for breakfast! So good! Do you have your oatmeal with toppings? Whats your favorite ones? Would love to try. So here comes the last outfit post from Sri Lanka. I honestly was hoping to snap one more but that did not happen. Even this one is kind of a half effort if I am totally honest with you. Its because of the stormy rainy evening and night we had. The prettiest light for taking pictures was around 5pm (dont have to wear sunglasses and dont get the angry squint when trying to smize without them) and on the day I wanted to show you my new purple maxi dress it was thundering for hours. We did get the full lightning and heavy rain just after these pictures were taken. So instead of wondering around we spent a super cozy evening reading, watching the lightning storm and drinking ginger tea on the balcony. Morgan was kind of just playing around with the camera when taking these photos but adding in a full length one and I think we get ourselves an acceptable outfit post. Guess were this dress is from? I almost cant believe I am going to say it but its Gap..again! Its their Cami maxi dress.. I swear my holiday wasn't sponsored by Gap (although I wish it was). I just happened to buy a lot of things in the last month and I haven't had a chance to show them to you. Anyway the color, the cut and the soft fabric all make for a great maxi dress and I'm almost regretting I didn't get the navy version as well. I always get so much wear out of simple maxis. On another note I finished the book I was reading. Its Elizabeth Gilbert The Signature of All Things. I liked it a lot. Its totally different from her Eat, Pray, Love and Commited as this one is a novel but it has the same lovely style and flow. I have a few books ready on my to-read list but always happy to add more on to it. So please do let me know if you have read something lovely lately. Also I have gotten a few emails form you guys asking recommendations and tips about Sri Lanka. Do you think its worth for me to do a small travel guide type of post telling about our favorite hotels etc? 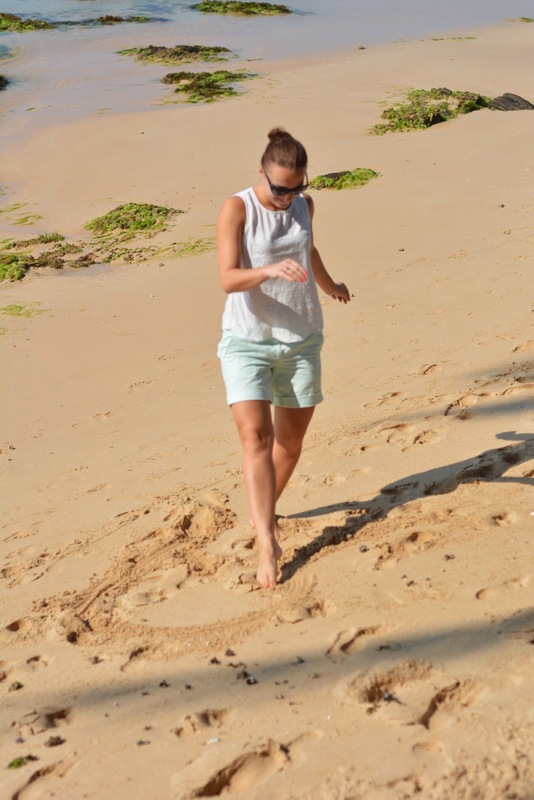 As after a few days when laying on the beach grew a little uneventful we took a day trip to Galle. Its a short tuk tuk ride away from where we are staying and we decided to have lunch and a small wonder inside Galle Fort. Not to get all historical on you but just a few facts. The fort was built over 400 years ago by the Portuguese and then extensively fortified by the Dutch later on. Its is now a UNESCO World Heritage Site and houses loads of little stores, cafes, boutique hotels and private houses. The architecture is an interesting mix of cultures and has a strong colonial feel to it. The narrow streets have loads of restored houses and old run down ones, funky cafes and more traditions hole in the wall places for curry and all makes it a perfect place to walk and wonder. It is without a doubt worth a visit if you are in Galle or anywhere near. Last time we were in Sri Lanka we had such a lovely dinner at Galle Fort Hotel that we went back for lunch this time. Its a small boutique hotel with delicious food and is one of my favorite places to eat in Galle. In matters of outfit I wore my fairly new French Connection Lucky Leaves shirt dress that was perfect for the weather (flowery pattern doesn't show the ever so charming sweat streams one gets in this humidity). The new season FCUK has been pretty awesome, fit and flare is my favorite style and there was a few dresses I would love to get even after I came home with this flowery number and the black one. We are flying back to Dubai tonight. I do however have one or maybe more Sri Lanka outfits ready for you. And after that I cant wait to show you the little something something I picked up at Dubai Duty Free. I will begin this post making one thing clear. It is about the most basic shorts ever. But you see..I have not bought a single pair of shorts in 3 years. Yes I actually stood in front of my wardrobe at home staring at the 3 pairs of shorts I own and realized they are all bought years ago and non of them have been worn for at least a year (minus my dog walking shorts but those don't count! dog walking wardrobe is a whole separate subject). There are several reasons for that but the main one being that skirts/dresses just work so much better with my body type and my style. Secondly shorts are always sooo short! I feel uncomfortable as I would much rather accentuate my waist or show off my back than my legs- its a comfort zone thing. Until I made the before mentioned random visit to Gap that turned into a wild shopping spree. It was obviously the color that made me even consider them and as I was lugging loads of things to the fitting room anyway I figured whats the harm in throwing a pair of shorts on.. and to my surprise I really liked them! Welcome to my life Boyfriend roll-up shorts. The awesome thing besides the mint color that makes my heart beat faster is that you can cuff them up to whatever length you want. Here mine are double cuffed but I have worn them triple cuffed and they still dont look overly bulky. Material is super soft cotton and they sit on the waist. You could easily get them a size down if you wish for a more fitted look. We took the pictures this morning on a small walk before the breakfast. I had intended to make it more of a -look at this paradise beach behind me- outfit shoot. But we had a proper storm with lighting and the whole works yesterday so the beach is full of seaweed and didn't offer the idyllic backdrop I was looking for. In other important news. I miss my crazy zoo at home and therefor am stalking the hotel cat Calico constantly. She has taken a liking to me as well (it might have something to do with be the fact I feed her half of my dinner ever night) so I thought she could fill in for Zulu and Yalla in todays post. We are off to a day in Galle so I will be back with more pictures soon. Have a great day! Hi lovely lovely people! How are you? Im relaxed.. I mean like taking 3 naps in one day kind of relaxed. I might have been snoozing more than I have been awake for the past few days. Sri Lanka is as beautiful, welcoming and lovely as we remembered. Last time we were here for 2 weeks so we did a lot of driving around and saw most of the places we wanted to. So this time is mainly for lazy days and quick trips to surrounding villages. We might try to do a day in Galle as well which is one of the bigger cities in Sri Lanka but has a very cool vibe and lots of funky cafes. We have been taking loads of pictures..mainly of palm trees and the awesome view of the ocean we get from our balcony. I might have to do a separate post for all of those pictures but for today I have a small outfit post and a half. First up is this white dress that makes me look so much more tanned than I am and I love it. Its a oldie but goodie H&M Concious Collection from few years back. It has the perfect lenght and pockets (!!) I really love white and light colors for vacation even thou that means I have to bring twice as many clothes. Mainly cause I will stain them in a day but whatever..I totally wore that dress yesterday and only make one SMALL stain on it! Now the half of an outfit is a new purchase made last week at Gap. Because when one is not wearing pants you cant really call it a full outfit can you? Its such a versatile shirt as it works for beach cover up but can easily be worn with jeans for a city look. I love the fabric and the cuff up sleeves and well.. its pastel and has striped on it. Do I need to go on? So I leave you with this picture of a monkey for now and will return soon. Hope you are all having a great Monday! I will be honest with you..I can do that because you are not my boss. My mind has been prematurely on vacation mode this week and very little on work things. I mean like it was barely on any other things. Ok it was on vacation mode and one more thing but lets concentrate on the vacation for now. We are flying to Sri Lanka tonight and spending the next 5 days laying on the beach, reading, drinking fruity cocktails,eating too much lentil curry and fresh fish. As I happen to be a big fan of making lists (grocery lists, to-do lists for work, lists about make up) packing list is one of my favorites. 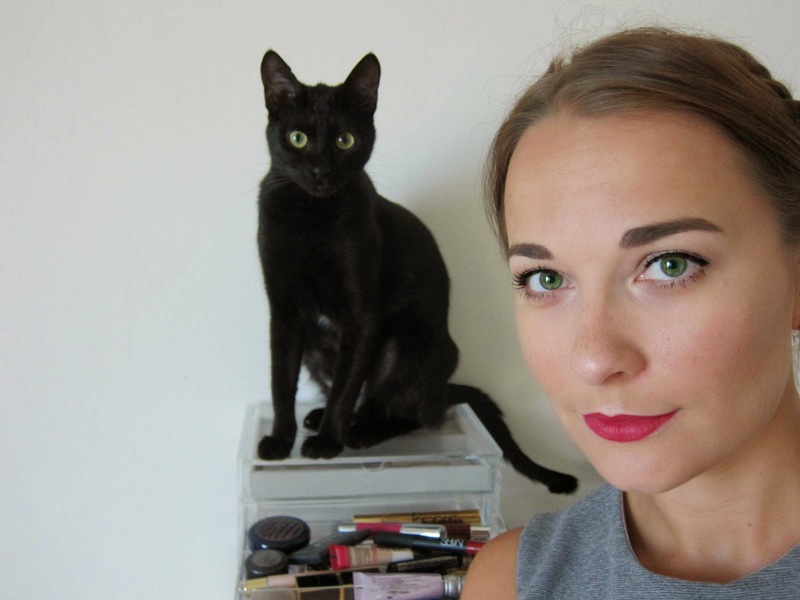 Today I will tell you about my vacation make up list. We went to Sri Lanka for our honeymoon at the end last year so I know what to expect. In the 2 weeks we spent there I used eyeshadow once..so it was pretty clear to me what to pack for a super light make up bag. I cant be bothered to wear liquid foundation on a beach vacation, so daily I will use Caudalie Vinoperfect Broad Spectrum Day Perfection Fluid. It is new and its awesome so expect a full review shortly. Smells amazing, has SPF 15 and is tiny bit tinted so evens out the skin. GREAT product! Just in case I do feel like having a more done face Im bringing the Laura Mercier Mineral Powder. Laura kept telling me I need this and she was right as always. Its SPF 15 again, its light enough to wear in sweaty scenarios, it has great coverage and stays on long time. I had a whole mineral powder phase last year and tried a lot of them but this is by far my favorite! I will bring 2 Lancome products- Hypnose Star mascara which is my current favorite and a Le Crayon Khol brown eye pencil. This works as my brow pencil and can be smudged into the eye line if I feel like it. Although I have a feeling it will be just mascara on my eyes for the next week. 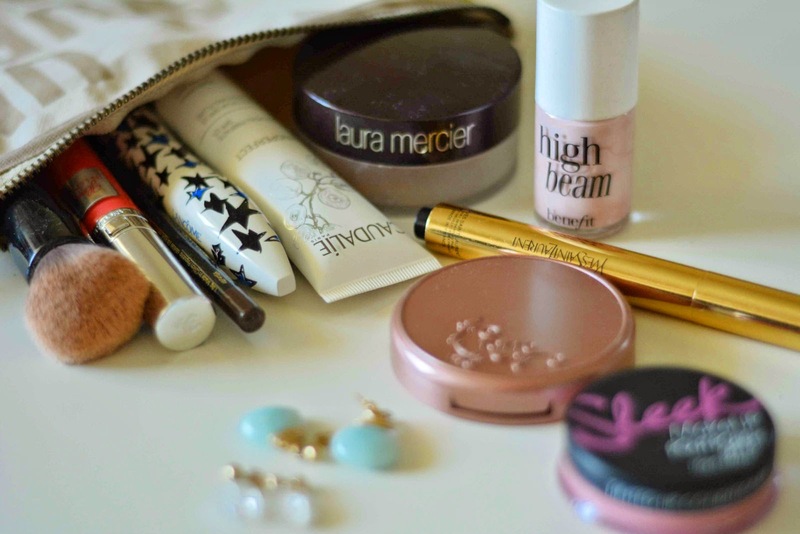 And then there is the two products that are always in my make up bag. The ones I immediately repurchase and have been using longer than 10 years. Benefit High Beam is my absolute favorite highlighter ever and I love using it in the inner corner of my eyes and cheekbones on those "barely any make up" days. Its blends so easily and looks beautiful on bare skin or over foundation. The second one is YSL Touche Eclat complexion highlighter. My holy grail product for a more alive radiant face and eyes. 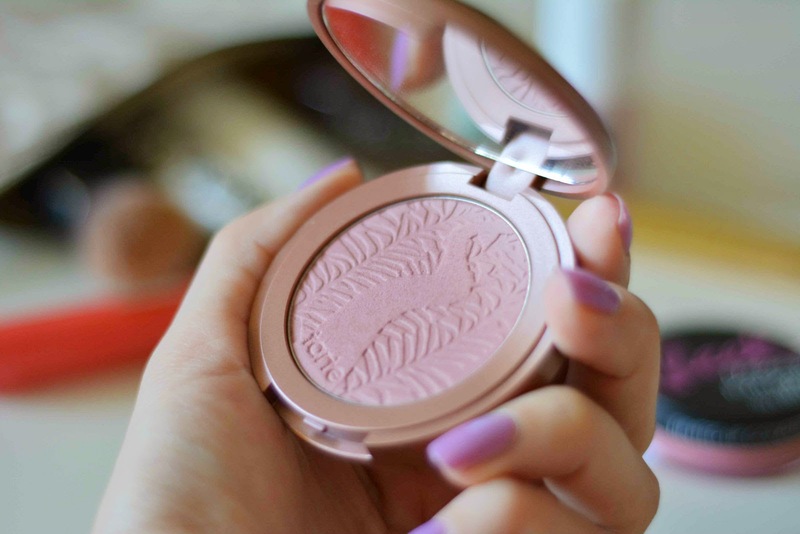 I will also bring the Tarte Amazonian clay 12-hour Blush in Exposed. Its great for a natural flush of color and can be built up. This one has top notch staying power. For lips I chose the Lancome Gloss In Love in 144 in case I feel like having some color on in the evenings. 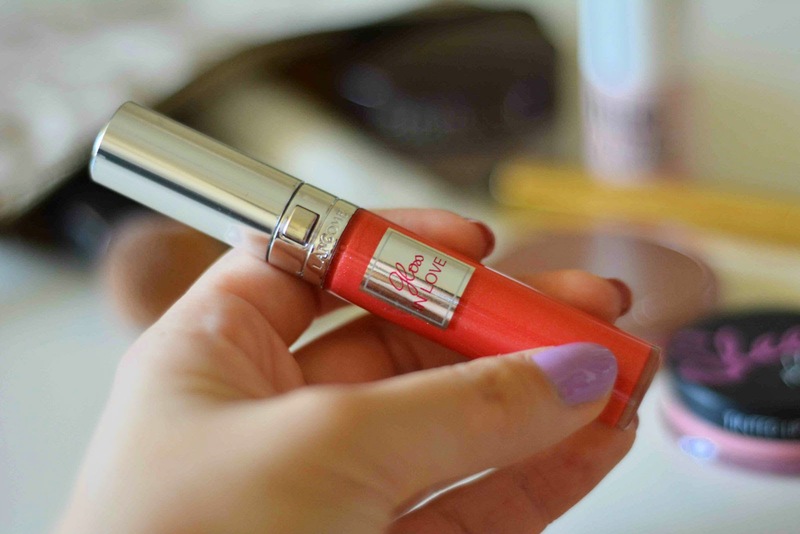 For day time Im taking the Sleek Pout Polish SPF 15 in Peach Perfection. 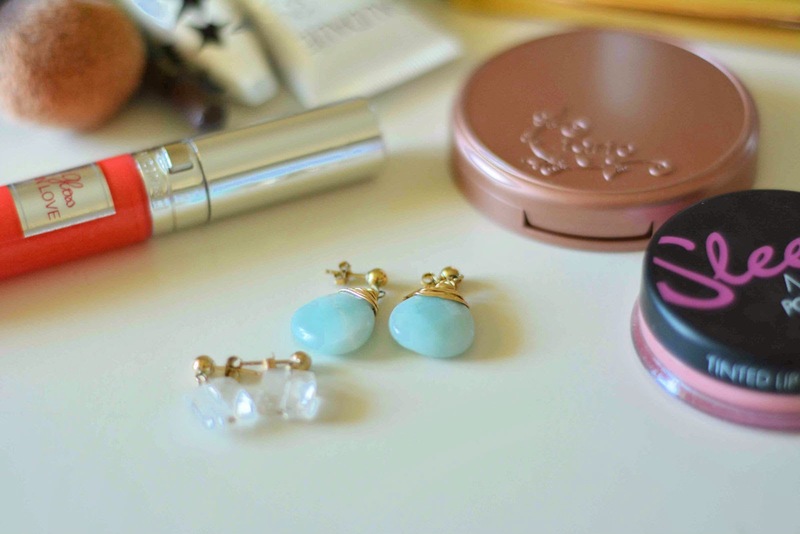 I usually have my earrings in my make up bag as well. So the ones coming to vacation are the prettiest color amazonite drops that look amaze balls with a tan and small mountain crystal squares both from New Vintage by Kriss of course. And thats it! I really dont want to lug too much with me as its less than a week and most of it will be spent on the beach wearing very little make up and clothes. I did of course do some pre-vacation shopping and came home with mint green shorts, new bikini and silver flats. So stay with me and I will report back from Sri Lanka soon. 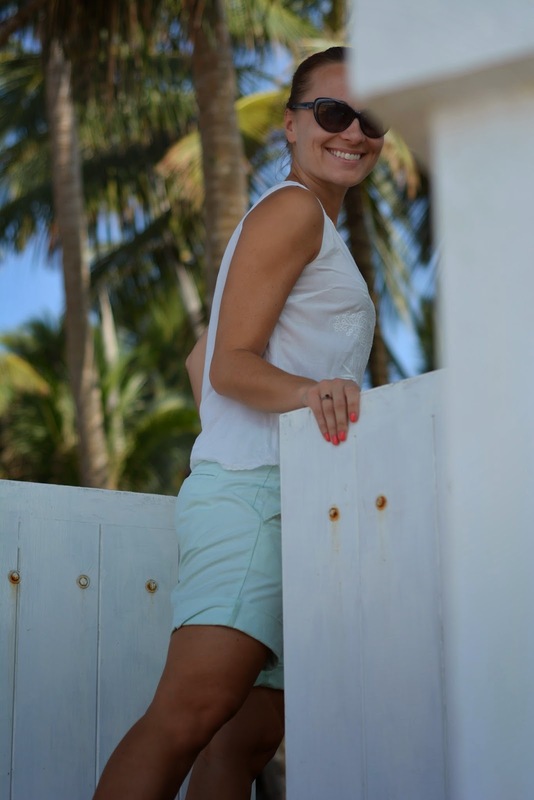 If you feel like knowing what Im up to at Sri Lanka find me on Instagram @thelauracarlson (see on the right sidebar of the blog). There shall be an obnoxious amount of photos from pretty beaches and delicious dinners. I love love Etsy. I could just spend hours on it browsing and getting inspired aka spending money and ordering stuff. It can however be a bit confusing and overwhelming when you dont have a good bunch of favorite stores narrowed down. So I thought I will share some of my favorites with you. I mainly order textiles or fun wall prints for home. Just before our wedding I ordered a lot of wedding details but I will leave those out for now. 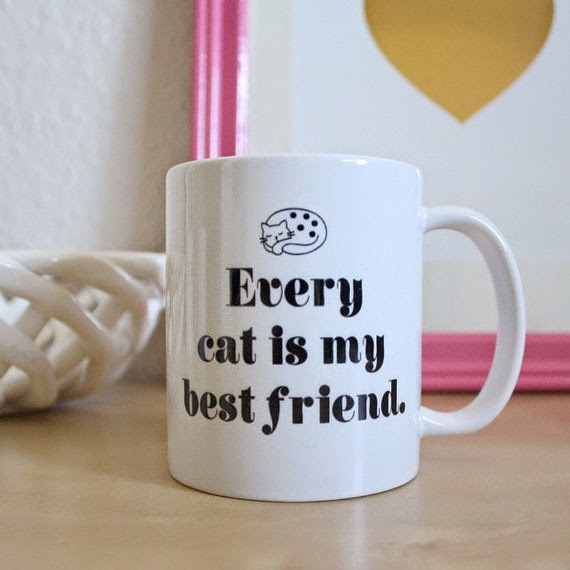 Brittany Garner Design- super cute gold foil prints and funny cups. 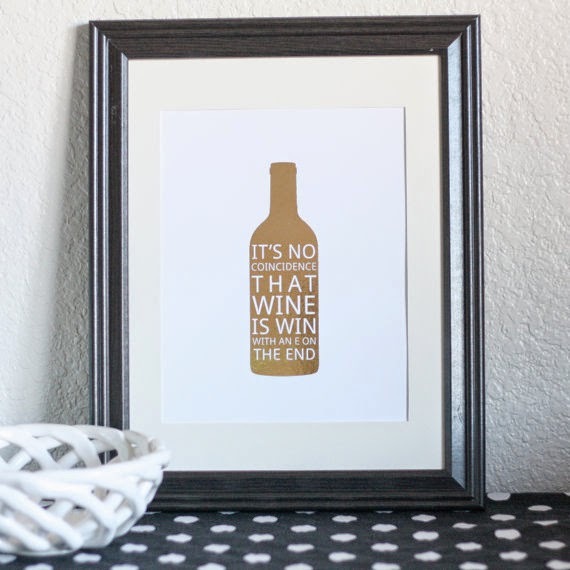 The two things saved in my favorites folder is this cup and gold foil print about wine. Rock The Custard- such good quality prints. I especially love that you can get it any color possible and the pastel versions are to die for. 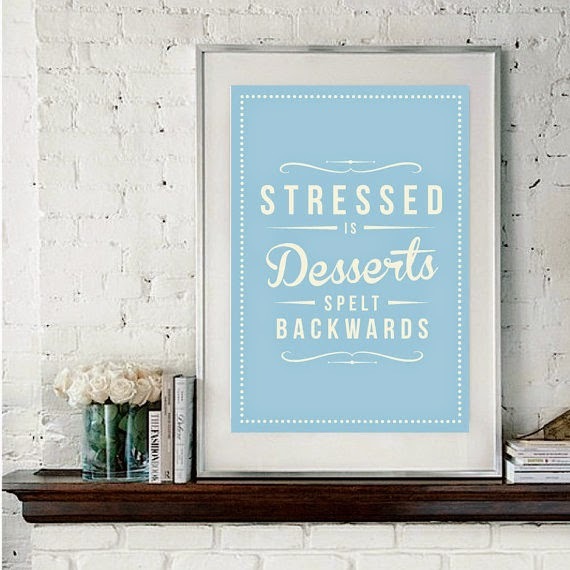 I ordered a few last year as a present for my sister, one of them was this dessert quote for her kitchen. I would like to get their The World is Your Oyster poster next. Mengsel Design- ooh I could leave all my money to this shop. Their tea towels and prints are just soo adorable. 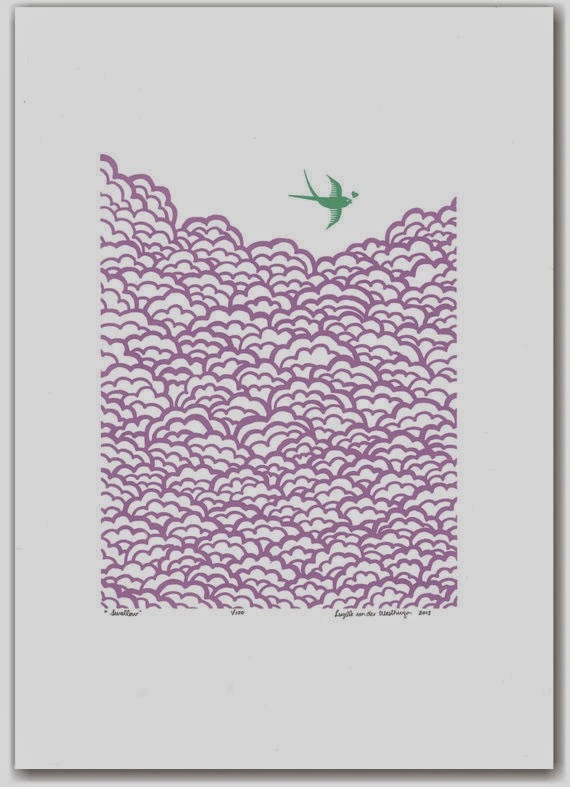 I have their screenprint with a swallow waiting to get framed. It love it soo much. You have to take a look at this store there is sooo much pretty there! CollagOrama- Different than the previous ones but equally awesome in my opinion. I got 4 of their prints for my husband as Christmas present few years back. The prints are done onto old dictionary pages. 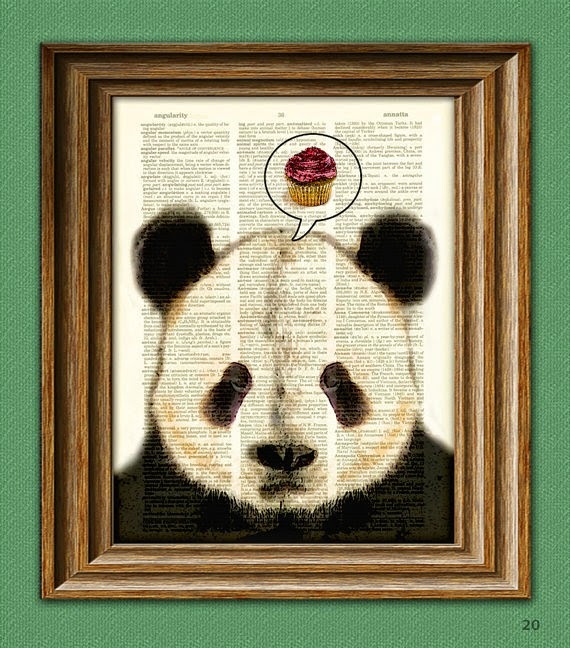 We love ours so much, they are very unique.I would love this panda print next. Ok I just looked at my favorites list on Esty and this post will become too long if I include all of the stores I want to. I have loads more for home textiles and cute little interior elements. And then a whole separate list for shops great for gift ideas. I have for example gotten most of my Christmas shopping done on Esty for a few years. Let me know if you would like to see more of my fav Esty shops and I can make another post soon. Also do let me know which ones are your favorite sellers. p.s. non of the photos are made by me. all the credit goes to the shops I have listed here. 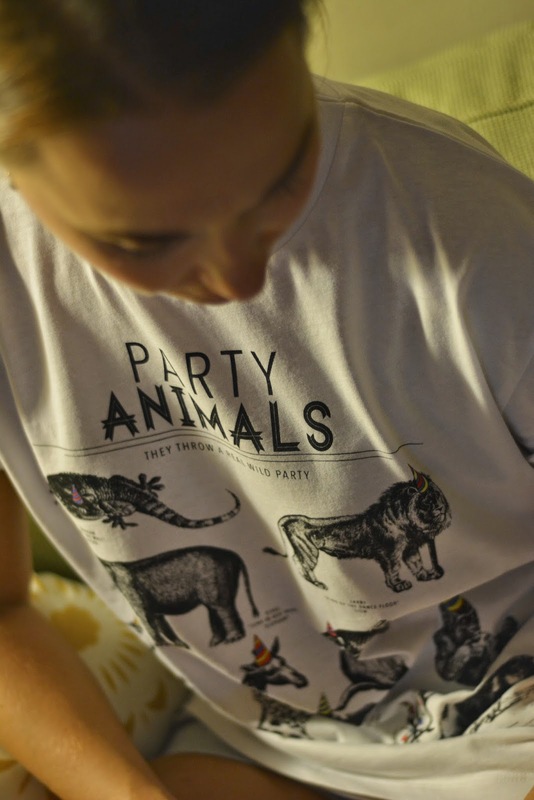 They Throw A Real Wild Party!! I love quirky tshirts but sometimes they are hard to come by..mainly cause I think most slogans on them are stupid! But I love the look of a funky tshirt and flowy skirt or just skinny jeans/blazer/heels combo. I saw a shirt I loved by Tee and Cake on Topshop online store but it was more than I would normally pay for a tshirt and also I didn't feel like paying shipping costs for just one little thing. Until these shoes grabbed my attention and the good old 'if im already ordering I might as well add this and this and this' came to play. So it arrived and I love it so much. 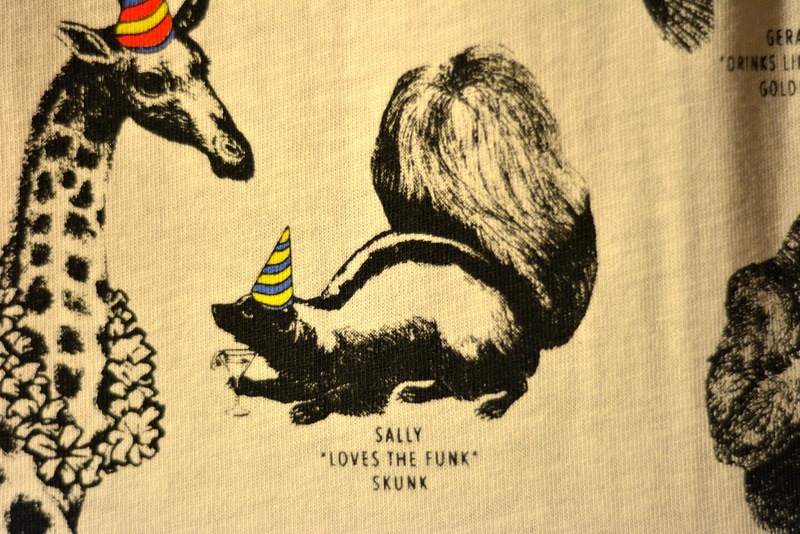 Like Sally "Loves the Funk" Skunk or Graham " Off the Wall" Gecko. I just cant help but smile! Now onto the problem. I ordered a size M as that my usual tshirt size, I like them nice and loose. Well..what I didn't do was check the sizing info on this particular tshirt as UK size M is apparently 40/42 in European size and that is faaaar to big. So out the window go my plans to wear this tucked into skirts and unfortunately it will become a lounging on the couch at home kind of a item. Its way wide and boxy on its own and that makes me sad. Hence I needed to make a post about it to show my love. So if you do order this go for a size S or even XS, its already loose cut and did I mention it has nice cuffed sleeves. 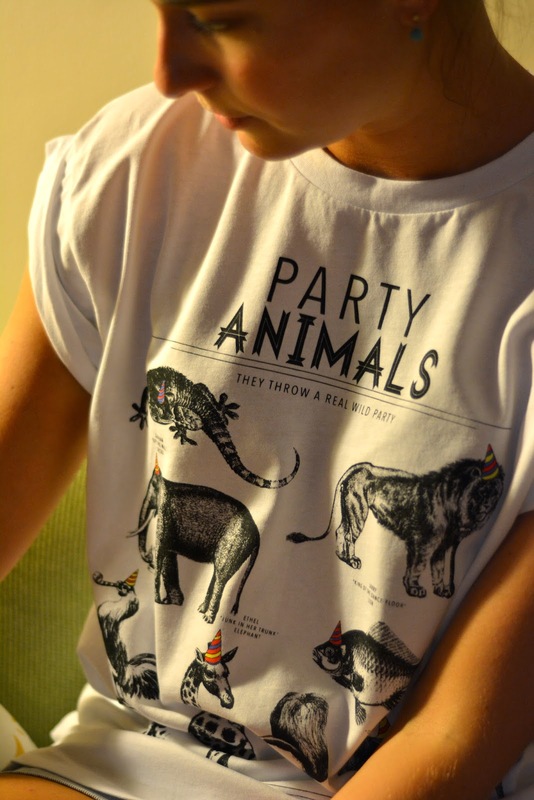 Party Animals by Tee and Cake is on Topshop online store. Whats on your favorite quirky tshirts? Is it a picture or some slogan?